The IBMO campaign for men’s underwear shoppers has begun! Partner in Deadgoodundies online men’s underwear store, Jane Garner, has decided it’s time to call the men of the world to action – and start buying their own underpants! 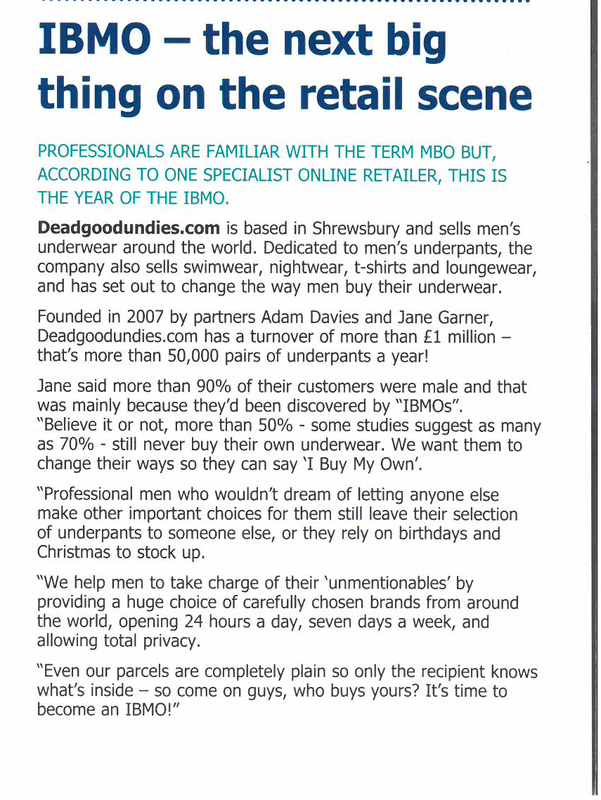 Jane will be encouraging men’s underwear fans to earn their IBMO badge through DGU’s ever growing social media channels. Find Deadgoodundies on Facebook, Twitter, Pinterest and YouTube.